Sadly, I have just learned today that one of my favorite basketball players has passed away. 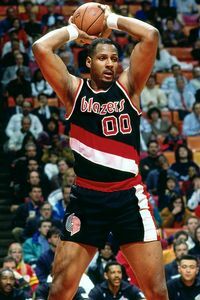 Kevin Duckworth was a 7' center that played most of his 11-year career with the Portland Trailblazers. He wasn't the greatest player but he worked hard and smiled doing it. I still have a lot of his all-star basketball cards from back in elementary school when I first started collecting them. This is an article from ESPN talking more about him. Anyone else fondly remember the "Duck". At 44, I'll be interested to know what his cause of death was. I know he battled weight problems and I'm afraid at his size it could be size-related.